Most car builds take their cue from some form of inspiration – it could be anything from a childhood memory, like in "The Grasshopper" recreation, to a single color, like yellow in the Ring Brothers “ADRNLN” Pantera. 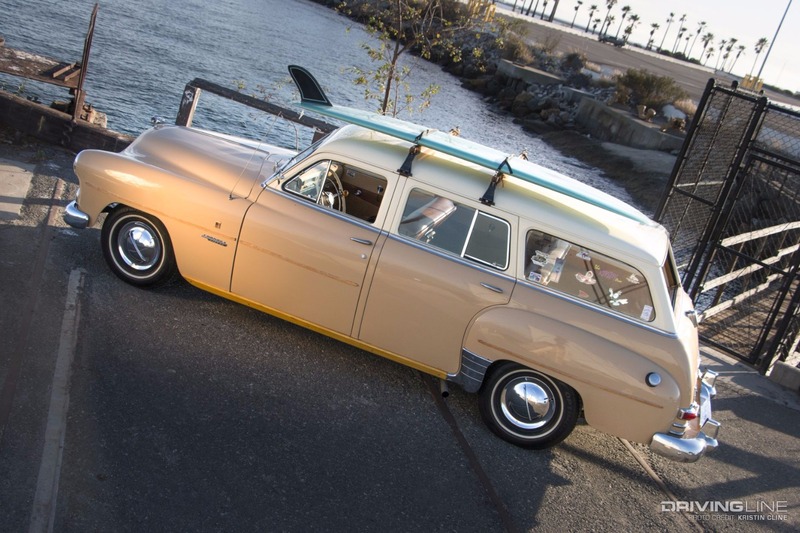 For Southern California native and lifelong surfer Luis Loyola, his 1952 Dodge Coronet Sierra takes its cues from surf culture. Back in the ‘50s surf culture hadn’t hit mainstream. There was no social media to spread the offbeat and alluring lives of surfers. 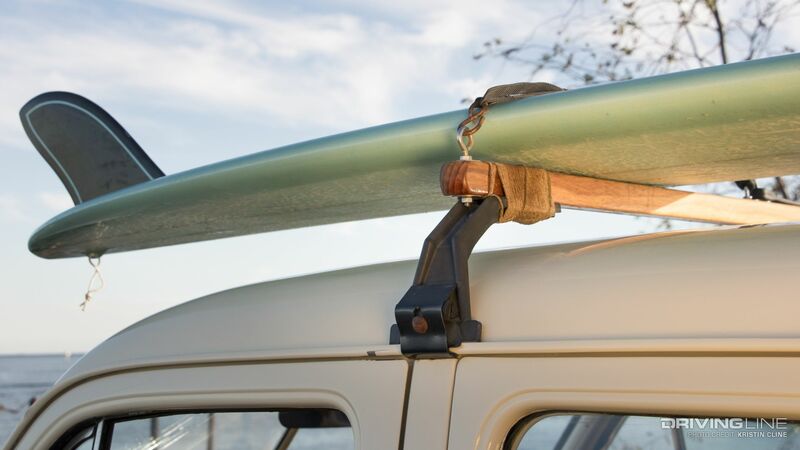 Just like how in pre-Starbucks days you’d need to travel to Italy for a good espresso shot, in the ‘50s you’d need to know someone to get a surfboard. This was before Gidget and before surf shops were on every beachside corner. Lance Carson was one of the well-known longboarders back in those days, who took to creating and shaping his own boards. Known also for his wild and crazy party antics, Lance gained accolades for his surfing skill as well – being one of the surfers featured in the iconic ’66 film classic, The Endless Summer. Lance went on to inspire the lead character in the now-cult surf film Big Wednesday. 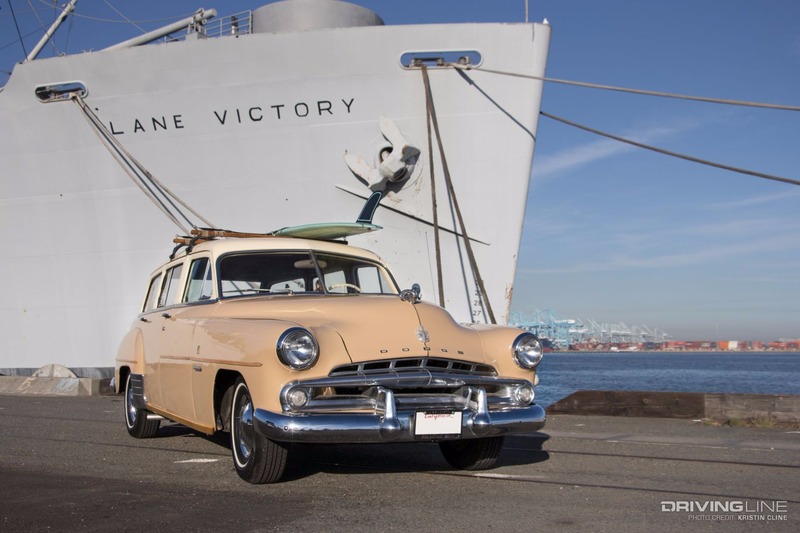 In it, as in real life, a surf wagon was the car of choice – and in Big Wednesday it was a 1952 Dodge Coronet. By the mid-60s, early-50s cars qualified as late, late models. 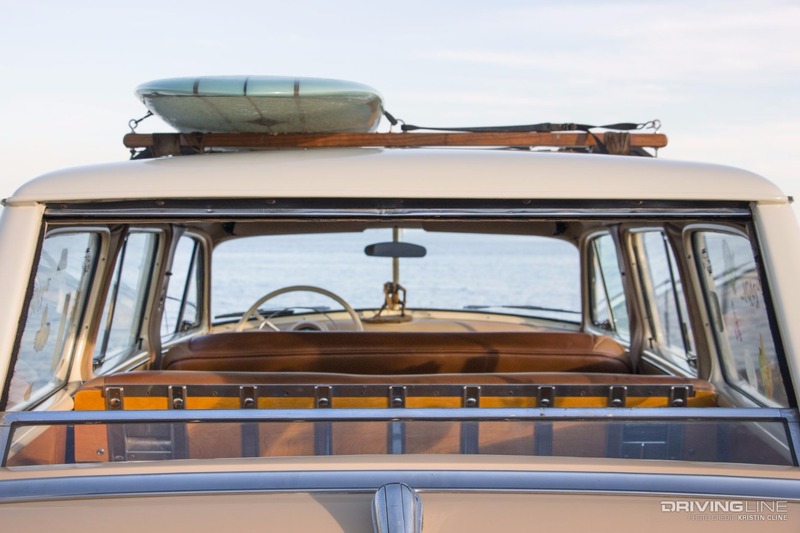 Rather than spending the dough on a brand new Ford Econoline van, grabbing an old wagon provided almost as much room at a much more economical price… which was a good thing for surf bums. 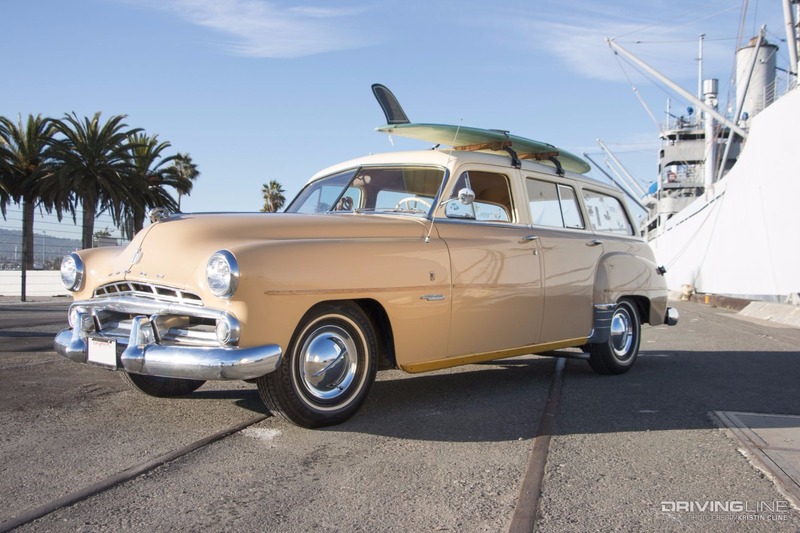 Between real-life and what was immortalized in Big Wednesday, the surf wagon was born. 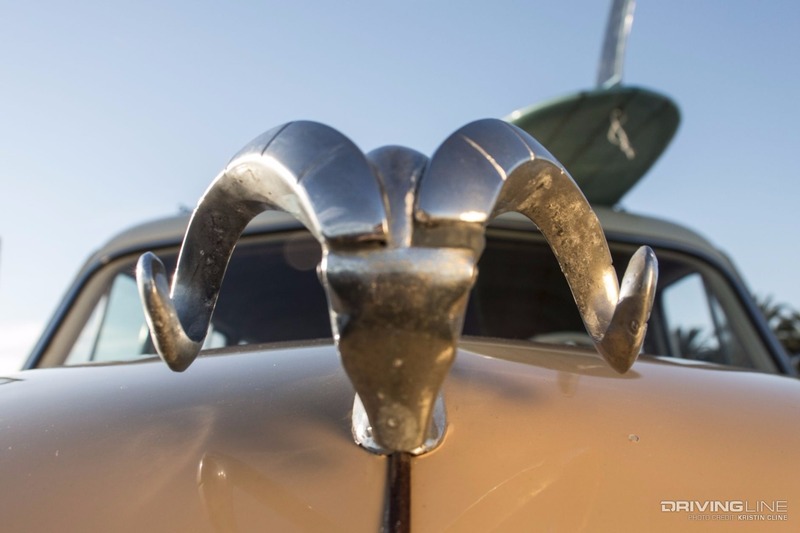 The story of this ’52 Dodge began for Luis when a friend with a gas/service station needed to get rid of an abandoned customer’s project. 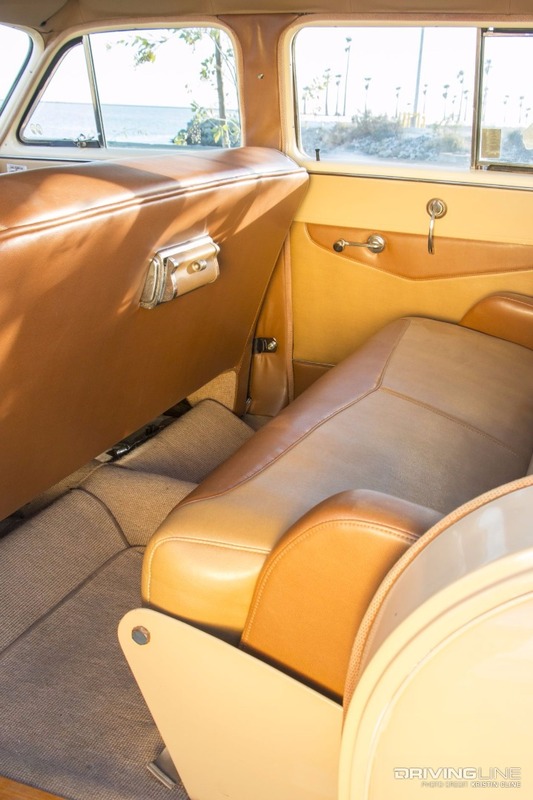 Already a hot rodder and professional automotive upholsterer, Luis saw the opportunity to transform the Coronet into something Lance Carson might have rode out to Malibu in during the sixties. 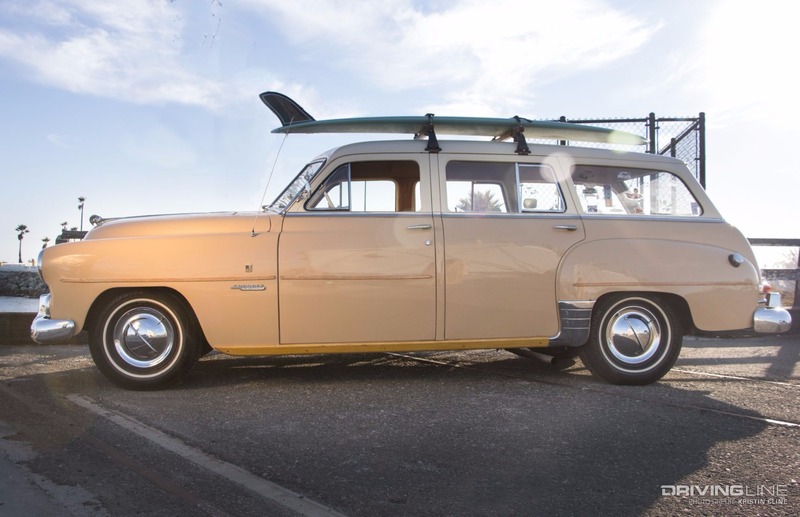 Not only was the wagon perfect for surfing, but it would also become the perfect tow vehicle for Luis’ vintage trailers. 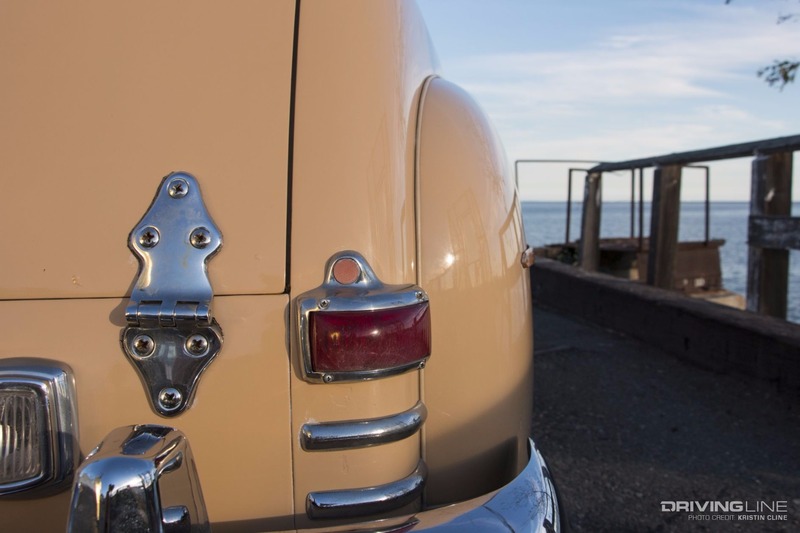 Long Beach Spring would “add-a-leaf” to the original rear leaf spring set-up, making it beefier for towing. 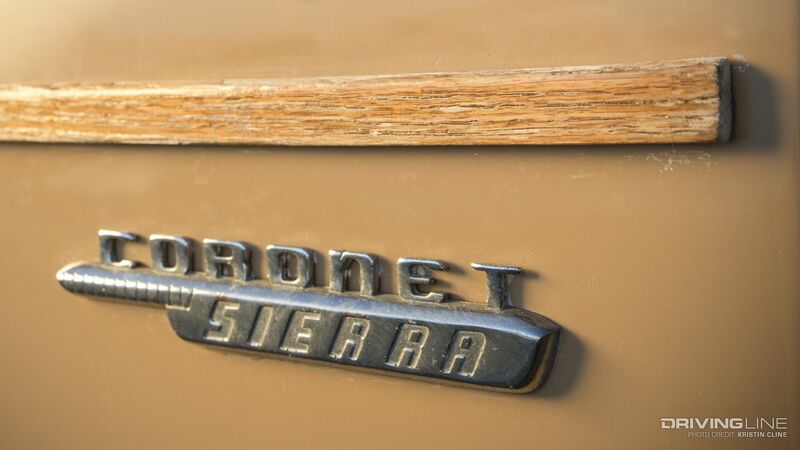 A steel bodied wagon, the Coronet retained the wood body trim carried over from the “woody” days. Luis went to work restoring the Dodge bit-by-bit. Doing the build in his own shop, Loyola Auto Interiors, and sending out jobs as needed. The interior, of course, was done in-house by Luis’ skilled hands. 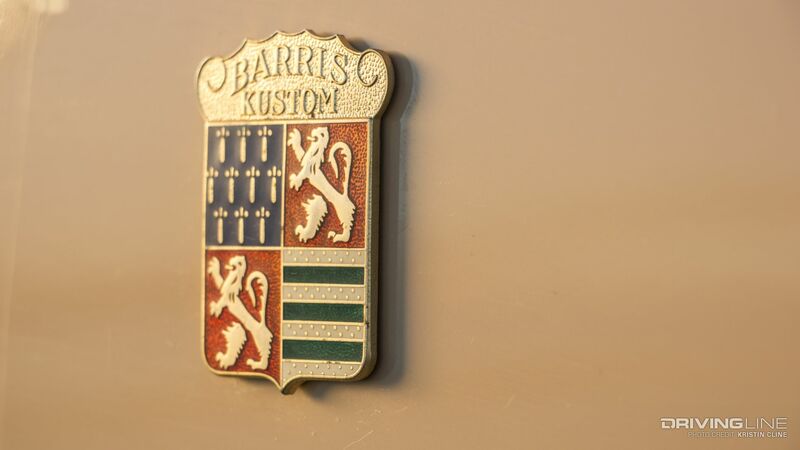 Its two-tone scheme matches the exterior theme nicely, tying together all that golden beige. Neither the interior nor exterior would have sported a two-tone look from the showroom. Luis chose a lighter color on the roof to break up the factory-original beige, than he pulled that same two-tone theme to the inside. 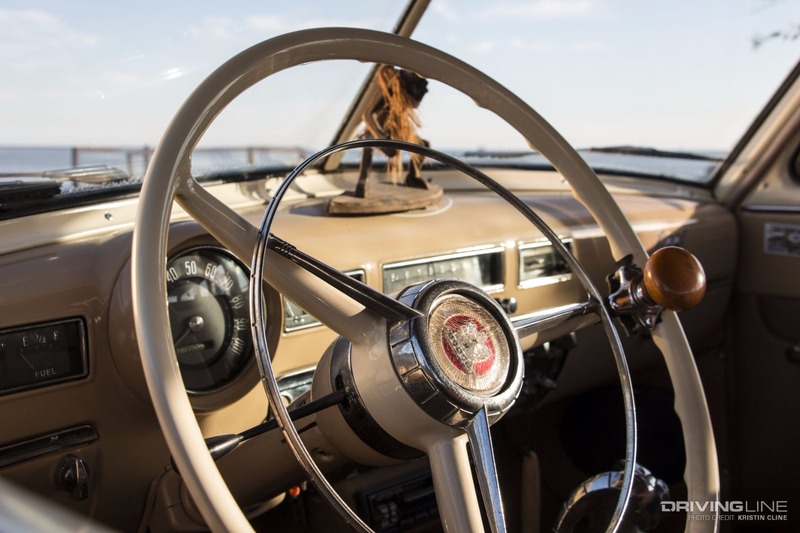 The front dash sports all the original gauges along with original steering wheel, which is outfitted with a brodie knob to make that manual steering a little easier. 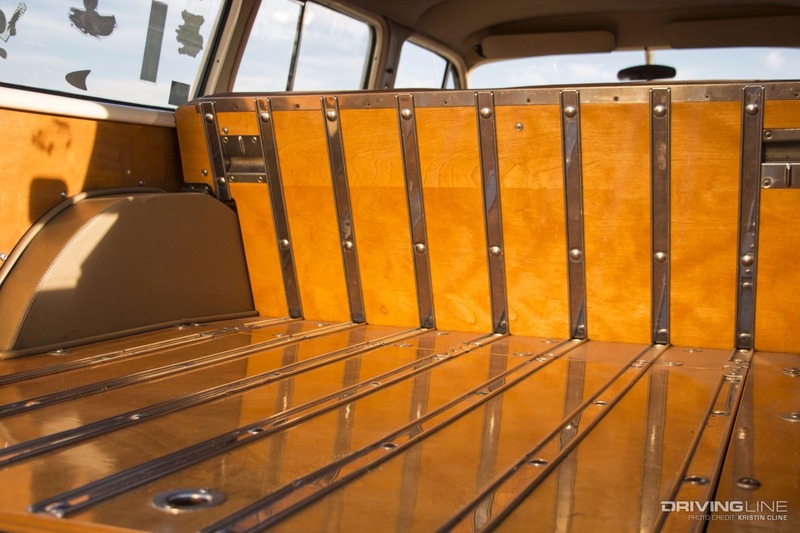 In the back, the rear of the surf wagon is wood paneled, not carpeted. 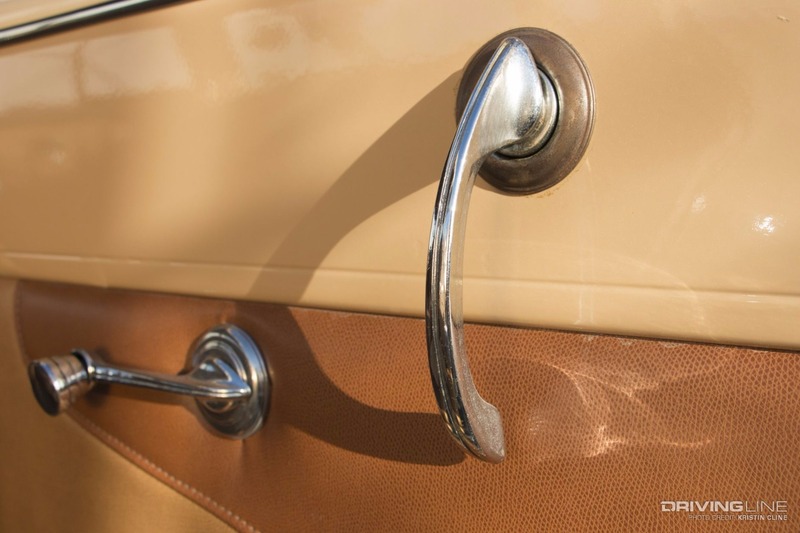 While I venture to guess this finish is slightly more posh and polished than the surf bums would have sported, it fits this wagon wonderfully. 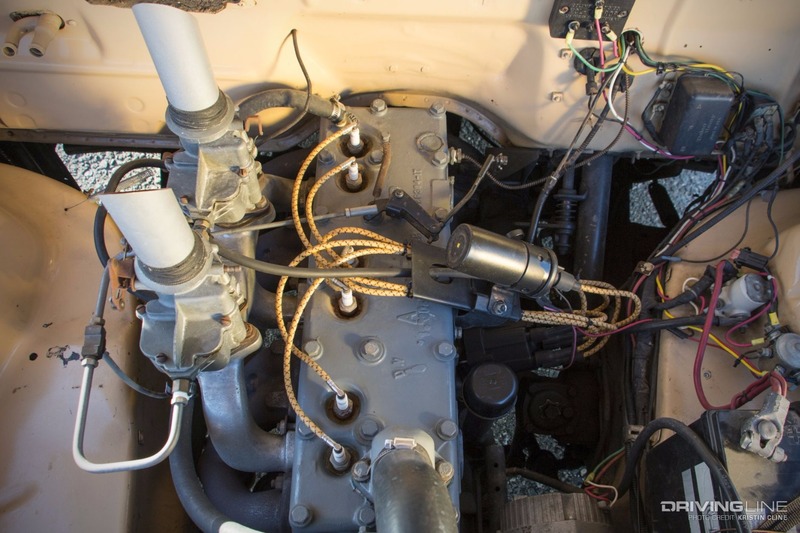 Under the hood, the Coronet is still powered by a 218 c.i. straight-6 Dodge flathead engine. 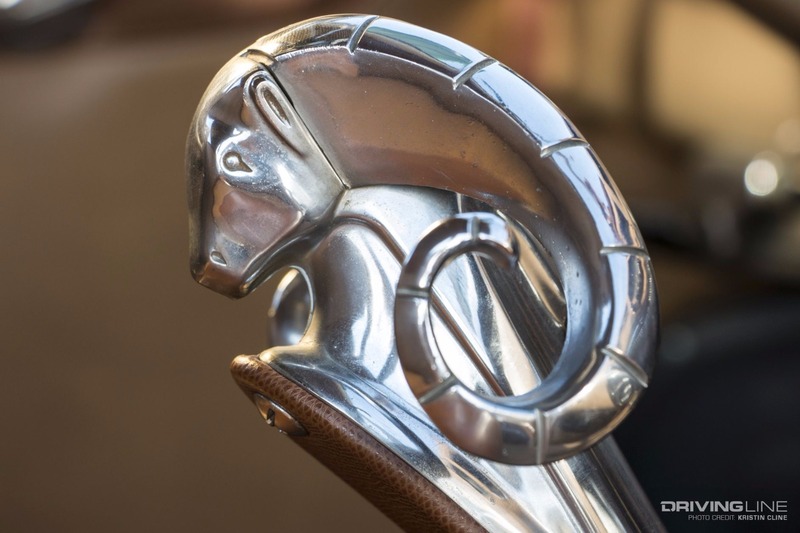 If you don’t know vintage engines too well, than you might not recognize the rare custom aluminum Edmunds dual-intake manifold or Fenton split headers leading to its dual exhaust. The carbs are straight single-barrel Carters. What I love about this build is all the personal, well-thought out touches that Luis included. 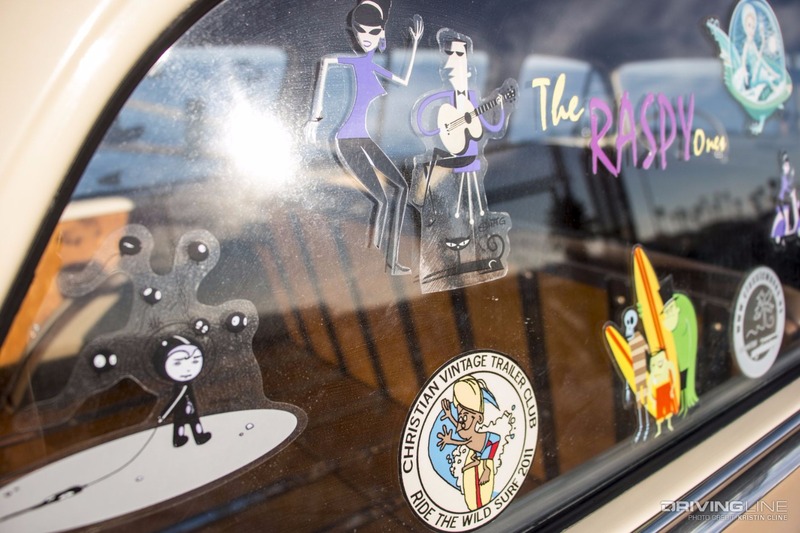 From the Barris plaque up front (not a Barris build, but Luis is a friend and fan,) to the perfect wooden surf rack on top, to the rear-window full of stickers in the back. Combined together everything just works, without feeling overdone. Who else is ready to go to the beach?! Enjoy the gallery below and then start dreaming up what you’d build!